If you photograph a decent amount, you probably need to clean your camera and lenses pretty regularly. As a professional photographer, cleaning my gear is something I do regularly, so I like having good tools for the job. Cleaning your camera and lenses isn’t as paramount and complicated as cleaning your sensor, but it’s good to do it from time to time. If you have a few good tools, it can be a quick endeavor. The first thing is usually getting rid of dust and particles. A good dust blower is usually enough, I recommend the Giottos Rocket Blaster. Just blow air on the lens or the camera (like on the viewfinder). 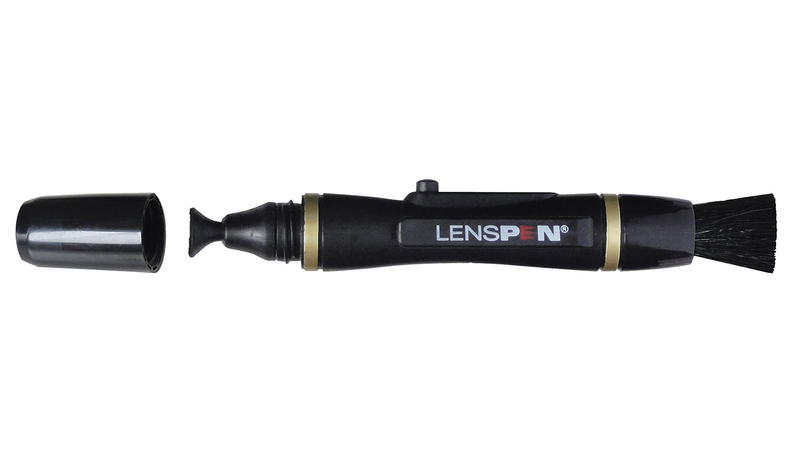 My favorite tool to clean my lens and my viewfinder is the Lenspen Lens Cleaner. One end is a brush, which is great to remove dust that sticks to your lens and can’t be removed with a blower. The other end is a cleaning tip that does wonder on your lens. Just brush over your front or back element and it will remove almost everything. I just love it. If your lens or your camera is still dirty, then it’s more than just dust. You need to go with a wet cleaning. It’s pretty easy, you just need a lens cloth and some cleaning fluid. Any microfiber cloth will do, but if you want a recommendation, go with the Lenspen MicroKlear Microfiber Cloth. Again, you can use any cleaning solution, but make sure you check it’s suitable for lenses. I’d recommend Eclipse Optic Cleaning Solution. Just apply a few drops of the solution on the cloth and start wiping your lens. If it smears a little bit, reapply some solution or use the Lenspen to finish it up. It works for everything! I hope this gives you some good tools to keep your equipment clean. Having the right tools for the job will save you a lot of time and headaches. What other tools do like to use? Leave a comment below!